I have posted these graphs before on the forums and on discord. Now I am posting it here for us to discuss. I am bored. Entertain me. On the graphs, please note the scale of the Y axis. Seriously, lets have a discussion. Meanwhile crag seems on a decline while its quite strong IF used well.. interesting. Well, crag hive is the easiest to play. You just have more health. Personally I think celerity is fairly strong but not at all necessary. I think @fordprefect has said celerity is almost necessary for him. What a huge difference, but cannot say I'm surprised at all. 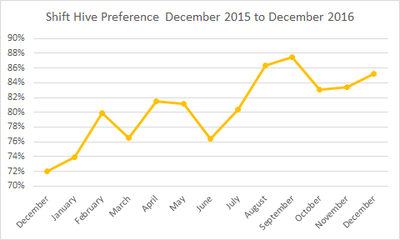 You can see the spike starts in June, coinciding w/ B299 in which SILENCE was moved to SHIFT hive. I still have NO idea why this was done. I thought I had heard the thought was that celerity skulks w/ silence were OP. Well.. silence is OP OP OP OP OP OP OP OP alone or otherwise. Early game, when you're getting a free bite cuz of silence, it has an even greater effect. I used to be religious about celerity. In pubs, silence is ALL you need, I pretty much only use celerity for Onos anymore. If the intention was to make other starting hives more viable at the time of this change, it clearly had the total opposite effect. For me, shift hive is THE hive to have. I'm going to be referring to PUB games to be clear. There is no silence on shift hive in comp (as it really should be, imo). Here's why I think, opinions ahead. Echoing is invaluable... especially in pubs. I will always drop my first natural, see how the next couple minutes go before I decide whether or not a shift is needed. That's a huge advantage over other starting hives IMO because for me, as someone w/ an RTS history, RES IS THE FIRST AND FOREMOST ITEM ON MY AGENDA. I cannot get the tech my team needs by the time I need it if I do not get the res I need asap. I can bypass the time it takes for my drifter to move from nozzle to nozzle, the clear danger of losing an unprotected drifter/unbuilt harvestor, and can fly comm and gorge up and echo out my own structures w/in a hive room. I don't care to comment on the enzyme abilities because IMO, they're all about as useful or.. not useful, though I probably most often use enzyme on gorges building a hive and the rare organized ambush in a pub. Speed is good, but when the name of the game is ambush, and you can fly at full speed (esp lerk/fade whose movements are typically easy to hear) from around a corner, maintain speed, and chomp the living eff out of your opponent before they even realize you've bit them, I don't need speed at all. And in pubs, clearly most others don't either. As lerk, it's very easy to get 2 bites off w/ silence before the marine even realizes they're hit. I don't know what else needs to be said about it, silence is OP as it is. By putting it on the clear first choice hive only made shift hive more viable in my opinion. FURTHERMORE now I can have silence AND aura. As a lerk.. it's so fun. I know exactly where they're at, I know how many bites they need, and I know I will be able to FLAP FREELY without them knowing where I'm coming from. I wish I could say Fade too, but I just don't even try to fade unless my team is clearly going to win, but I imagine it's just as fun, though I'd probably use celerity if I faded.... ANYWAYS! Crag hive.. meh. is okay. But as commander, I have almost no need in the EARLY game for heal wave or mucuous membrane. I've got Skulks and gorges on the field, gorges can heal themselves, skulks are expendable for the most part during this time. 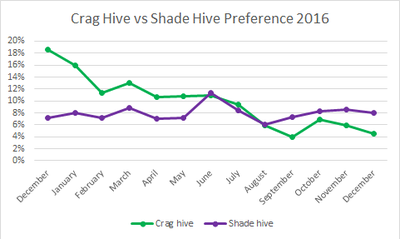 Shade is not a good first hive almost ever IMO and it's not because things like vampirism aren't effective, but because by the time you need a 2nd hive, you're going to be at a disadvantage choosing between crag and shift, which.. imo.. just much more useful hives. Shade can be a solid second hive if you suspect arcs especially. I just think it becomes a handicap when you're on just shade and crag or shade and shift. Shift and Crag are just... 100X more useful IMHO. You're not going to be using ink in the early game either. Anyways, there's probably some other obvious reasons I've skipped over, but I am not surprised one iota that shift is by far the most utilized starting hive. SILENCE ON SHIFT HIVE IS OP. BONESHIELD IS OP. PO BACKWARDS IS OP. Well if it is to balancethe hives between each other than silence on shade hive makes sense. This would make shade hive stronger as first hive again. Also I think silence + aura as a combination is stronger than celerity + silence. Because Shift hive is chosen most of the time, some players (me included) feel like they can't move properly (as a skulk during early game) whenever Shade or Crag is chosen instead. I think that's why people complain when the commander chooses another hive type. It's pretty much a vicious circle because following that logic, Shift will keep being the "default" hive. Pretty much what 2cough said. Who cares if you move faster while sneaking when you can charge at full speed and with an increased base skulk speed. They boosted skulk movement to make shift hive less needed, sure. They also boosted shift hive into being excessively strong. Or OP as he put it. Contrary to what I used believe, I'd say that shift hive as third hive is a perfectly viable at the moment. I had exaggerated the reliance on celerity as fade, mainly because I was just used to the celerity speed and playing without it felt wrong. I'm always happy to see commanders omitting shift hive and going crag + shade hive, so that I can get a combination of regen/cara + focus/aura. Well, I wouldn't put it like that; that might have been the case a few hundred hours of play time before, but I think by now I'm good enough to deal with not having celerity. However, back when silence wasn't on shift, it was rarely necessary; Shift was almost always first hive. If not, second, after crag. Not going shift was just not worth it, since Celerity is such a great upgrade for all lifeforms and you also lose adrenaline for gorges. We can discuss the actual usefulness of additional speed vs. more health all day, but I think most people (mostly non-competitve ones) would agree with me if I say that celerity just feels so much better. Alien movement is a lot about going fast and speed upgrades just go well with that. After the change, your ears became unreliable. Of course you can deal with that by amping up your paranoia, but it's frankly just annoying. To answer your question, I'd say shift always felt best to the average player, and when it got silence it became objectively better than the alternatives in pub. And that's why everyone plays with it all the time now. Honestly, the only reason all those "third" abilities were added was to "balance out" the fact that they wanted adren, celery, and silence on the same hive. Those new abilities seem really half-assed to me and don't fit the game. I would say that celerity is a pseudo-noob-trap in that it encourages sub-optimal behaviour like running in when really you just want to drop in on marines and use the acceleration to keep near the marine. Although it's not a complete noob trap because sometimes it's necessary to rush in, and the effectiveness is amplified by having team mates working together. I wouldn't want to change celerity despite these thoughts. I don't know if anyone remembers this, but we had a 6 page discussion starting October 2014 about shift hive dominance. I made this thread mostly to see where it would go. I am seeing a lot of repeated thoughts from that 2014 thread. I am also seeing a lack of understanding about why silence was placed on shift hive. The developers decided that the combination of celerity and silence was too strong, so they moved silence. As I understand it, the addition of the new upgrades was to increase player choice. Personally, I am not a fan of silence on shift hive. I did not make the decision, obviously. I do like the addition of new upgrades, but crush and vampirism are underwhelming. Both could be great but they clearly are not right now. Just spit balling ideas here. I think the following upgrade shuffle might be interesting. Crag Hive: Carapace, Regeneration, and Vampirism. Shade Hive: Aura, Focus, and Silence. Crush would allow players to kill structures even faster than it does now. I think the above hive combinations would be less OP than what we have now and also provide better tradeoffs between traits. I doubt balancing is capable of fixing any of these abilities. Hives give three different things: upgrades, structure abilities, and drifter abilities. This means it is important to understand all three to understand why each hive is ranked the way it is. The choice of which hive goes first is ultimately dependent on these three variables. Shift is great all around. All of its abilities are arguably usable and cover different roles. Silence is great for ambushing, adrenaline is great for high energy cost lifeforms, and Celerity is great for an overall speed boost. No one could argue that Echo is beyond probably one of the most useful all-around commander structure abilities as moving structures around the map nearly instantly is game changing. Finally, enzyme has its perks. It can be used to speed up hive building or to increasing the likelihood of a good rush. Shade is nearly as good as the shift hive. Two of its upgrades are insanely useful. Focus allows for early and late game slaughter. Arua is great for strategic play and res-biting. Vampirism is lackluster, but the other two abilities make up for it. Ink is very necessary for some maps as arcs can be a serious threat such as Tram. It's niche, but it's a very useful niche. Hallucinations are an amazing ability as well. It is an effective damage mitigation tool and a decent distraction. Crag is great in some areas and super lackluster in others. As far as upgrades I feel crag is superb. Regen, carapace, and crush all have their place and their own usable niche. However, the issue of crag lies in its commander oriented abilities. In simplest terms, they absolutely pale in comparison to the abilities of Shift and Shade. In fact, shade's DA effectively does what the crag's DA does, just better as it doubles as a distraction. The crag's structure ability is also quite trash, as most of the time there will not be more than three structures/lifeforms in a room requiring healing. If there is more than three, chances are there is a gorge there, effectively mitigating the point of the heal wave. To me, the shift hive is the most utilized due to it being the best overall hive to start off as. Echo has so much utility and enzyme is quite useful if utilized correctly. On top of that, celerity and silence are amazing to have access to at the same time as they fill exactly opposite niches. This is also why crag is seen as the worst. The upgrades are good, but the commander abilities are garbage in comparison to what the shift and shade can accomplish. Now, before anyone argues that we must nerf the hell out of Shift, that's not the solution. The solution is to make the shade and crag more appealing as starting hives. So, how could we do that? The crag's SA could be changed to give a brief boost in structure HP or an effective structure shield. This would give it some utility as a harassment nullifier. A form this could take on is boosting the structure maturity to max (if it isn't already) and boosting it to 110% on top of allowing the crag to heal as many targets as possible (though a slight healing penalty might be warranted). This would be practical and useful to commanders. Now, I haven't covered everything in this list. I'm aware that strategies exist with each hive. I was talking generally or this would be pages. @nexzone30, I like the way you think before your solution. Unfortunately I think that by focusing on the starting hive you miss a very important phase of the game where aliens have 2 hives. The synergy of silence and aura is too OP. Ink is also the second best hive ability because games typical stalemate around the fight for the 3rd hive and/or defending the 2nd hive where ARC plays are strongest. Coolitic raises some good points, but it would still be better than what we have now. @NexZone30 raises another good point, which are the hives' secondary effects. Echo is just too damn useful (especially early game) compared to everything else. As I understand it, the addition of the new upgrades was to increase player choice. I disagree about enzyme being stronger that mucous membrane. Either can make or break an engagement. Doing mucous on an onos push makes marines waste most of their first clip, and is helpful on all lifeforms. If your push failed despite having mucous, you can save your lifeforms as they leave the room. I would even go as far to say that all drifter abilities are equally overpowered. Drifters are weak and difficult to use, so we don't see the drifter abilities often. I agree that echo has significantly more utility. I don't think this is all that important. Public players will not complain that you chose crag or shade hive because now you can't echo. They complain because they don't have their personal upgrades. I have even seen some players verbally assault the commander for not choosing shift hive. I disagree that they cannot be balanced. There is a fine line where it would be good. The purpose of this change I mentioned is a way to put silence back on shade hive. It keeps upgrades to the themes of the hive. Crush is an extraordinarily confusing upgrade. It clearly needs a revamp. The lifesteal portion of Vampirism isnt all that bad. A slight buff could make it a worthwhile but not OP upgrade. It seems no one made the connection. This idea I proposed is in ghouls balance mod. Test it out. He has not changed crush or Vampirism although he moved their hive. While you are right about this, the commander is the one who actually has to decide which hive to evolve, and echo is definitely going to influence that decision, regardless of what his team thinks. Hmm looks like I am the only one who uses vampirism on my lerk? When moved to crag hive, it becomes completely useless to me. Im a bit amazed some people speak of crush as not versatile enough. Its mainly a skulk or late lerk upgrade to destroy structures. pres is not a issue for free skulk upgrade swaps. At a cost of 3 res, its not a huge concern for lerk in mid to lategame either. Ive even used it on onos, although I often hear the onos should just go with the added armour of carapace. Its main issue, as always, it that pubs just dont use upgrades as they should. I see not why it would make shift weaker if we move crush to shift. I have an excellent way to make crush useful. Reverse it's effects on armor percentage. Currently when you attack 70% goes to armor and 30% to hp. Each level of crush increases the armor percentage by 7%. Rank 3 crush means you deliver 91% of your damage to armor and 9% to HP. Reverse that and it becomes 49% armor and 51% hp. In practical terms this would mean a skulk could always kill a marine in 3 bites regardless of armor. This may sound overpowered to you but consider currently that marines rush armor 2 in basically all games. This provides a potential tech path for aliens to counter that build and force more dynamism into both teams build orders, while there is no tension on marines choice of armor 2 there is never a reason not to rush it first. I disagree that they cannot be balanced. There is a fine line where it would be good. Unless that "fine line" is where there is a small amount of both cons. Not everything can be fixed by adjusting numbers, sometimes the idea itself is just bad. Also, what's the justification for having lifesteal with camo? If you are going to add something together with camo, at least make it something stealth/deception oriented. Crush effectively makes aliens do 7% extra damage per shell at targets that are affected by structural damage or are an exo. Not all structures are affected by structural damage. Ranged attacks like bilebomb or lerk spikes are unaffected by crush. Crush is primarily used in killing RT's, exo's, and arcs. Crush is confusing because it is inconsistent. Crush has high utility in certain situations, but is not as widely applicable. 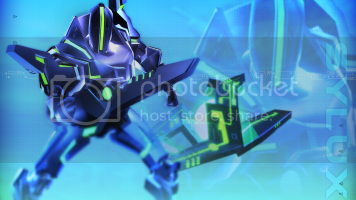 Getting crush on an onos would help you kill certain structures, exo's, and arcs faster. It would not help you in combat. Not everything can be fixed by adjusting numbers, sometimes the idea itself is just bad. That is totally true. I don't think crush or lifesteal is a bad idea at all. I think it was just poorly implemented. Ranged attacks like bilebomb or lerk spikes are unaffected by crush. This is not true or was there an update that changed that? @Nordic, crush works with Bilebomb... Unless I am crazy... *Sees bigger number with crush bile bomb* Yeah... I don't think I'm crazy. This is certainly not true now. I remember it being false in the past as well. There may or may not have been certain times when it was true. Crush affects spikes and bilebomb.